Introducing radix, the smartest, most innovative line of drone electronics BrainFPV has ever developed. 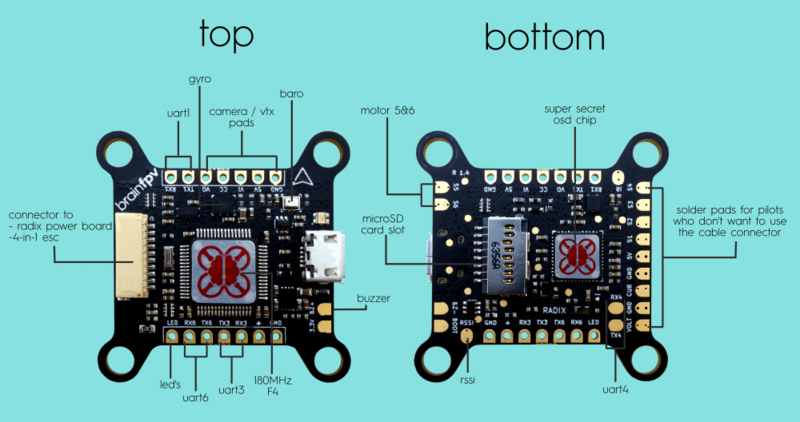 On top of the normal Betaflight OSD, radix on-screen-display gives you extra features you can t get anywhere else. Proudly show off your pilot and team logo using our logo customizer with just a click of a button. Extra features also include a graphical barometer scale, artificial horizon, gyro spectograph, RC stick display, 3D OSD support and more!